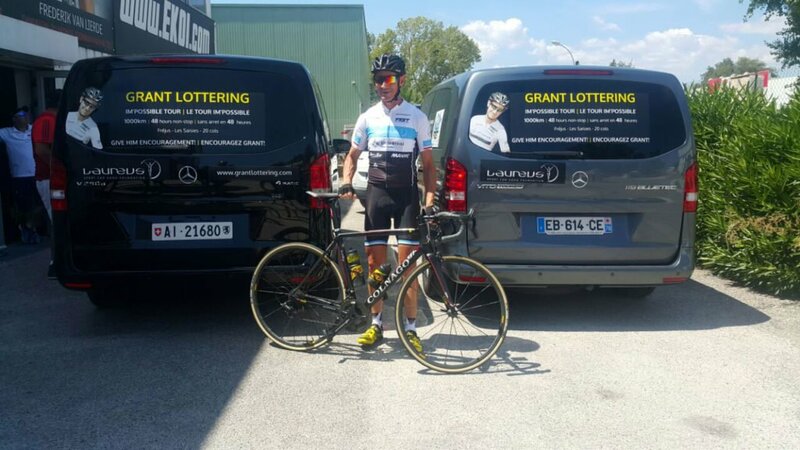 ‘Miracle Man’ Grant Lottering does the impossible in the French Alps, completing the grueling solo, non-stop ride of 962km, including 19 410m of climbing, in 46 hours and 17 minutes! On 4 August 2016, Grant Lottering, South African survivor, speaker and ultra-endurance cyclist, achieved his goal of riding 1 000km through the French Alps in less than 48 hours. Starting in Frëjus near Cannes in France, Lottering completed the grueling solo, non-stop ride at Les Saises Ski Resort (one hour from Geneva) with a ride time of 46 hours 17 minutes and a total lapsed time of 50 hours and 40 minutes. Lottering climbed 20 mountains in this epic journey with a total elevation of 19 410m. 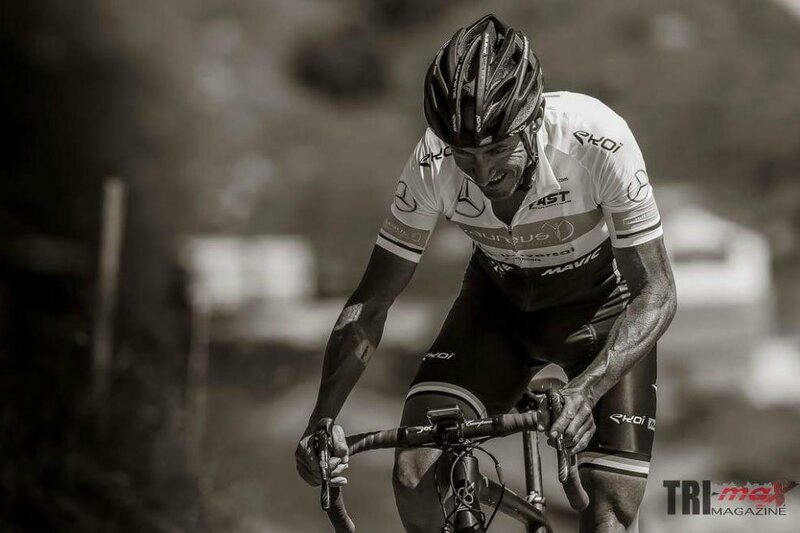 In 2013, Lottering was told that he would never cycle again after suffering a near-fatal cycling accident in a race in the Italian Alps, but this has only encouraged him to push himself even further. “While still in hospital after my accident in 2013, I promised myself that I would be back in one year to finish the race I had started. After six surgeries and close to 100 rehabilitation sessions, I was back on the bike for the first Im’Possible Tour in 2014,” he says. The second Im’Possible Tour took place in 2015, in which Lottering became the first South African to attempt to complete a solo, non-stop 420km ultra-endurance ride through the French Alps in 24 hours. Now, he can add a third Im’Possible Tour and another record to his name. The Im’Possible Tour III route covered 20 alpine climbs, including seven Hors catégorie (HC) climbs – Col d’Izoard, Col du Galibier, Col de la Croix de Fer, Col de la Madeleine, Grand Colombier, Col de Joux Plan, finishing on the summit of Col des Saisies. Lottering was allowed eight controlled stops along the route for eating, changing clothes, and getting lights to navigate in the dark. Throughout the ride, Lottering was followed by a film crew, two support cars and a support team of nine people. 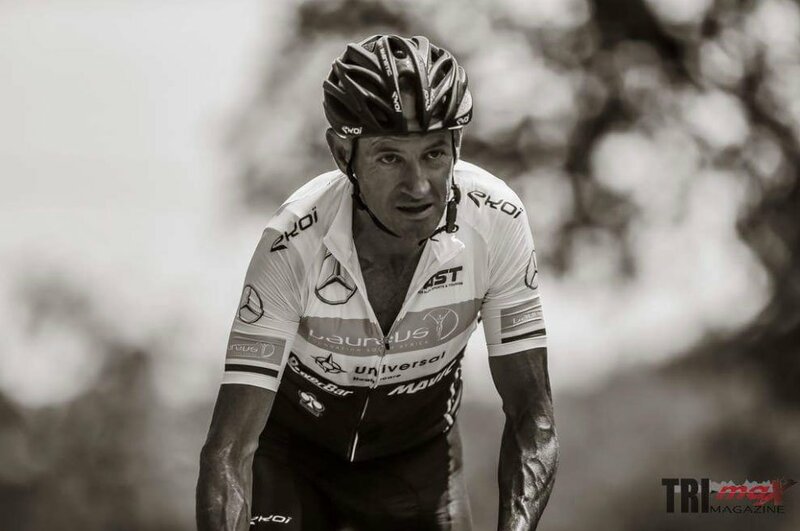 “Grant having to ride consecutively for two days and two nights with no time for sleep took this challenge to the next level,” comments Glenn Lottering, brother and member of the support crew. “The support team goes through an emotional roller coaster in their own way and ended up being sleep deprived for the 50 hours as well. It was however, an honour to support him on this journey and I feel immensely proud of his achievement today,” he adds. Lottering rode as a Laureus Ambassador to raise funds for the Laureus Sport for Good Foundation, which uses sport to nurture and develop underprivileged youth in their communities. For this tour, Lottering raised over R1.3 million for the foundation. My name is Henro van Rooyen, the Feasibility Associate at Synexus Clinical Research SA. We conduct clinical trials in an array of different therapeutic areas. We would like to increase our exposure within the South African setting. Moving into the cycling population and the wellbeing of patients will be high on our priority for the next few year. Along with this, we will be launching a Foundation and one of the objectives is to increase awareness of clinical research, and engaging with our nearest community though a sport! Will it be possible for us to have a discussion about your initial thoughts on the investment, exposure of your affiliated sponsors, developing the cycling academy etc. ?